Three unmissable videos on community management! 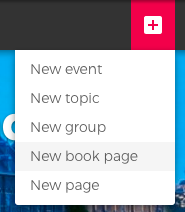 Open Social has a default structure that consists of topics/events/groups/profiles. Although this is a great initial structure, there is a lot of flexibility to structure the site according to your community's needs. A menu item is nothing more than a button that directs you to a different page. Therefore, a menu item can point to any content on the site with a unique URL. It can point for example to any topic (for example, a blog or news), group, event, user, or even a specific message that a user has posted. Moreover, you can also create a menu item that directs you to a specific search page with a filter enabled. 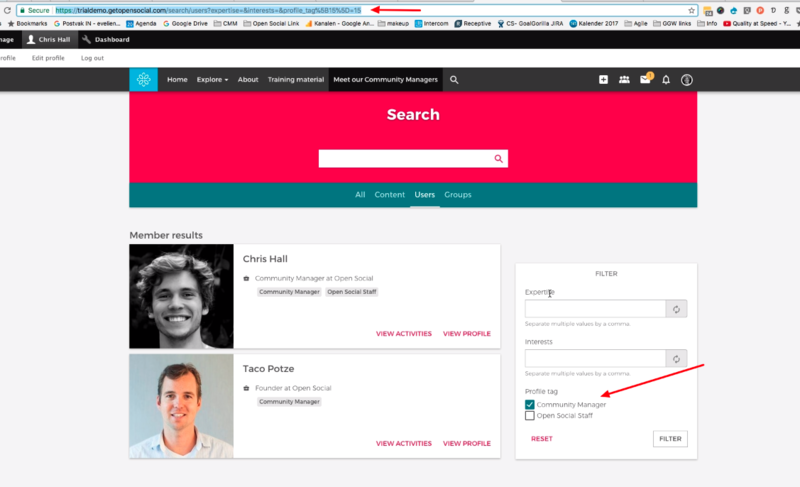 A nice example of a menu link is one that points to a set of specific members, such as 'community managers'. This is possible by enabling the Profile tag. Then you need to copy the link into the 'link' field when you create a menu item. Give the menu item a proper title, such as 'Meet our Community Managers' (preferably something shorter), and you are done! Submenus have an extra advantage since it helps decrease the number of main menu items. This makes your site look less cluttered. A very nice way of structuring information about the organization is to create an 'about' menu item that directs you to a collection of pages with information. In Open Social we call this ' book pages'. Read more about the book page functionality here. Click here to see the detailed information about adding menu items and creating submenus.